ISLAM as an all-inclusive systematic religion is an interrelated set of ideals and realities covering the entire area of human nation and action, beliefs and practices, thought, word, and deed. islamic principles and concept cannot be fully and properly appreciated unless they are analyzed and realized within the framework of Islam as whole. The concept of martyrdom (shahada)in Islam can only be understood in the light of the Islamic concept of Holy Struggle (jihad) and the concept of jihad may only be appreciated if the concept of the doctrine of enjoining right and discovering wrong (al-amr bi ‘l-ma’ruf) is properly appreciated, and good and bad, right and wrong, can only be understood if the independent divine source of righteousness, truth, and goodness (tawhid), and how the Message of the divine source of righteousness and truth has been honestly and properly conveyed to humanity through prophet hood, are understood. Finally the divine message may not be fully appreciated unless the embodiment of this divine message, or the Model of Guidance, and the Supreme Paradigm (Imama or uswa) is properly recognized. We can thus see how the concept of martyrdom in Islam is linked with the entire religion of Islam. This whole process can be somehow understood if the term ‘Islam’ is appreciated. This is because being a derivate of the Arabic root salaam, which means ‘surrender’ and ‘peace’, Islam is a wholesome and peaceful submission to the will of Allah. This means being prepared to die (martyrdom) in the course of this submission. 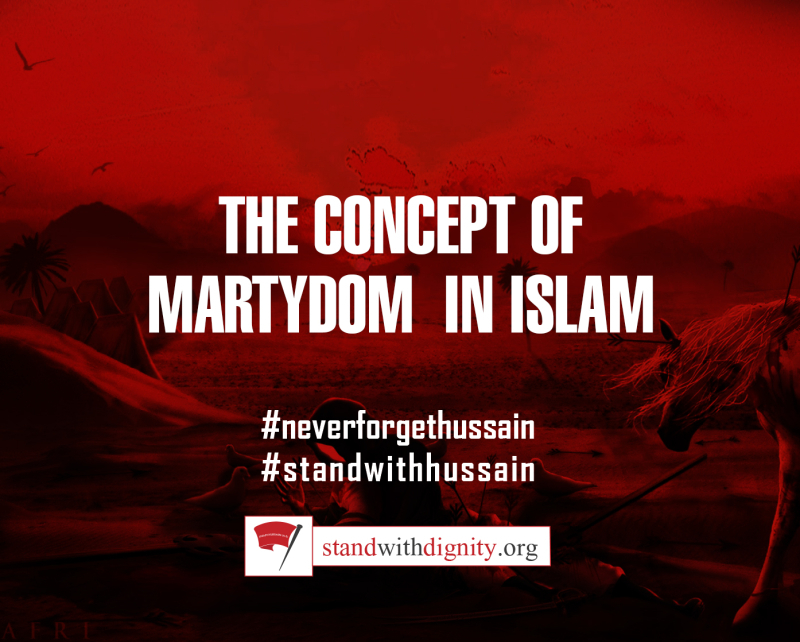 Thus the concept of martyrdom, like all other Islamic concepts, can be fully and wholly appreciated only in the light of the Islamic doctrine of Tawhid, or the ABSOLUTE UNITY OF Allah and full submission to His will and command. It cannot be fully appreciated in isolation. In this sense, the concept of shahada is no exception. All Islamic concepts are interrelated, and should be appreciated within the framework of the doctrine of Tawhid. The concept of shahada in Islam has been misunderstood by both Muslims and non-Muslims. As stated above, shahada is closely associated with the concept of jihad. Most non-Muslim scholar, intentionally or unintentionally, have defined jihad as only the Holy War, and thus have understood neither jihad nor shahada. 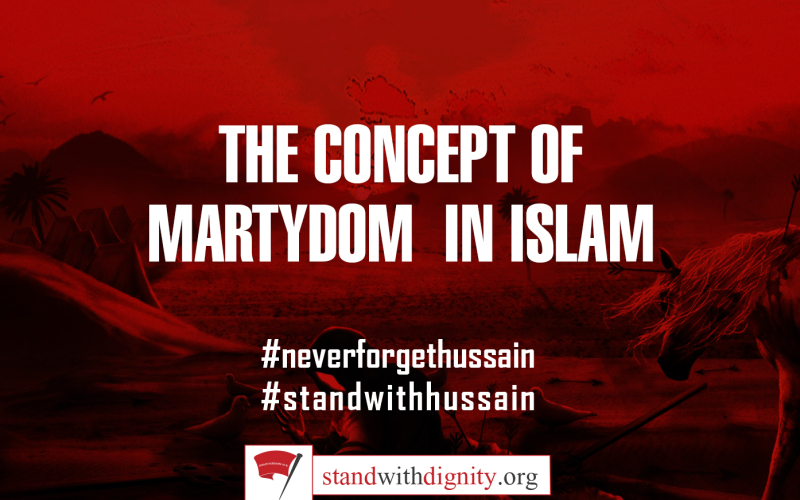 The Muslims, mostly taking into consideration the martyrs of the early days of Islamic history, define martyrdom in terms of the fatalistic death of those dear to Allah, and do not see the close link between continuous struggle in the cause of Allah (jihad) and martyrdom. Martyrdom is not the monopoly of Islam (though it is the monopoly of spiritual, religious, and divine systems, and cannot be claimed by followers of materialistic schools). Islam introduces its own concept of martyrdom. An Islamic concept should be explained within the framework of Islam, and not, by Muslims or by non-Muslims, in the light of non-Islamic concepts such as guilt and suffering. Muslims are not allowed to explain Islamic principles without taking due consideration of the entire conceptual system of Islam. Shahada thus cannot be explained purely in terms of intercession and mediation. That is to say, those early martyrs of Islam volunteered for death to be able to intercede and mediate for sinners on the Day of Judgment. The Islamic concept of intercession and mediation (shafa) should be appreciated within the framework of the principle of causality, and not solely as spiritual mediation. Islam rejects the Christian concept of mediation without the personal responsibility for the salvation of oneself. The concepts of martyrdom and Holy Struggle in the cause of Allah are interrelated. Both words have been frequently used in the Holy Quran. In fact; there is no martyrdom without struggle in the cause of Allah and for the cause of the truth. Both words have literal meanings different from their terminological meanings, although these terminological meanings were originally based on the literal meanings. They developed their terminological meanings later on, though the term shahada was used in the Quran for those who were martyred too. The Islamic concepts of both shahada and jihad have been misunderstood, particularly by non-Muslims, mainly by Orientalists. The word shahada is derived from the Arabic verbal root shahada, which means to ‘see’, to ‘witness’, to ‘testify’, to ‘become a model and paradigm’. Shahada therefore literally means to ‘see’, to ‘witness’, and to ‘become a model’. A shahid is the person who sees and witnesses, and he is there for the witness, as if the martyr witnesses and sees the truth physically and thus stands by it firmly, so much so that not only does he testify it verbally, but he is prepared to struggle and fight and give up his life for the truth, and thus to become a martyr. In this way, and by his struggle and sacrifice for the sake of the truth, he become a model, a paradigm, and an example for others, worthy of being copied, and worthy of being followed. In this process, the keyword is ‘truth’ (haqq), its recognition and declaration, the struggle and fight for it, and the preparedness to die for its sake and thus set the model for the seekers of truth. The goal, motive, and the whole aim is the establishment of the truth. Jihad is the means for establishing the truth, and may lead to martyrdom, but does not necessarily lead to being killed for it in the battlefield, although it necessarily involves the continuous Holy Struggle, and death in the cause of the struggle. We may therefore conclude that there is neither jihad nor martyrdom outside the realm of truth that martyrdom applies only when it is preceded by jihad, that jihad is an inclusive struggle for the cause of the truth that a mujahid dies the death of a martyr even though he dies not fall on the battlefield. He dies as a martyr even though he is not killed, on the condition that he stays loyal to the divine truth and stands ready to fight for the truth and to defend it at all costs, even at the cost of his own life. He is a mujahid while he lives and a martyr if he dies or is killed for it. We have explained that a martyr establishes himself as a paradigm and a model. Both shahid (martyr) and shahid (model) are derived from the same Arabic root. In this sense, the concept of shahada is closely related to the concept of prophet hood in Islam. Both the martyrs and the prophets are regarded as paradigms (2: 143). In Islam man needs guidance to the truth. The true guidance is from the whole truth, God, the Source of Truth and Guidance (50: 6, 71, 88; 92: 12). But since it is man who is to be guided, the guide truth, given to the Messenger as the guideline for leading mankind to the truth. Guiding humanity requires leading humanity. The true belief and practice in Islam. A comprehensive guidance therefore involves leading in thought, words, and behavior. The guide should therefore practice what he preaches, and should himself be the supreme incarnation and the perfect embodiment of the message he spreads. He should be a paradigm, a model, and a model-maker. Muhammad was thus the Messenger who brought the comprehensive universal Message of Allah, and he was the incarnation of the divine message, and the living example of his mission, the model (shahid), the paradigm (uswa). The key word in the concept of prophet hood in Islam is thus human guidance. This involves the recognition of what humanity should be guide to, what guidance is, how it should be done, and the realization of the guidance by being the true model of the actual guidance. This is why Muhammad was himself the first Muslim and the best model of Islam. And thus his practice is recognized as the guideline and standard pattern (Sunna) for the Muslim community, the members of which are supposed to become models (shuhada) for the entire human community. 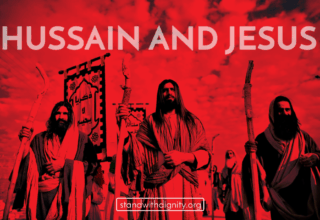 The prophets, including Muhammad, were thus models and model-makers, and their disciples and companions were models. Thus those who carry on the struggle in the cause of the truth are mujahids and shahids at the same time. The position of the prophets as the paradigms and model-makers in Islam gives the Islamic concept of prophet hood a unique characteristic. Their main responsibility is thus leading and guiding humanity to the truth by being the true incarnation of God. They do not intercede and mediate between the source of the truth and humanity spiritually, in the sense that they come to be crucified to pay for the sins committed by humanity through Adam. In Islam, everybody is responsible for his or her own actions, nothing and nobody can intercede between the sinner and God. The concept of intercession is Islam should be appreciated within the framework of the principle of causality. That is to say that the prophets, by guiding and leading the people to the truth, cause their salvation (saada). Salvation must be earned and deserved, and the prophets and the Messenger of Allah provide us with the opportunity to earn and deserve salvation, that is to say, it is not the crucifixion and the cross that causes salvation, but it is the realization of the truth that causes it. Man is thus originally sinless, good, and peaceful, and the role of the prophets is a positive one — that of guidance and of being a paradigm — and not a negative one. Martyrs are the super-models of the divine message, too, and in this way they share a special responsibility and honor with the prophets. Because the responsibility of the prophets is partly to provide the living example of the divine message, their message should be practical so that the rest of humanity, like them, is able to copy and follow them and practice the Message too. What Jesus did, according to Christian doctrine, was a unique action by a unique being (the crucifixion of the Son of God), not possible and necessary for humanity to copy. But what Muhammad did was to convey the practical guidelines of righteousness, and he himself lived within those guidelines to prove their practicability for the rest of humanity. This is why the prophets are called shahids (paradigms and witnesses) in the Quran, a term used for martyrs later on in the early days of Islamic history. Muhammad, therefore, like other Messenger, is the incarnation of Islam, full surrender to God, the universal religion of all of creation, including man. 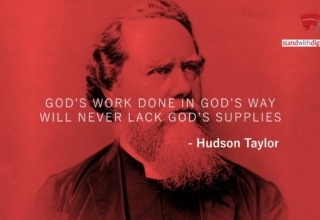 He was the model of what he taught, and a paradigm for humanity. A model attracts and leads people to the truth. He does not force them. This is in full harmony with the concept of man in Islam. Islam rejects the incarnation in man of the essence of the actual divinity, but fully encourages the incarnation of God’s guidance, will, and command, to become the living example of God’s full code of thought and life (din, religion) for man. The prophets are the living example of the divine message, and by being so make others the examples. Martyrs are also full examples of the divine message, and thus the embodiment of the divine will. There are a few Islamic traditions which introduce the blood of the martyrs as the blood of God (thar Allah). Shi’aism being one of the fundamental and original sects of Islam, and staying loyal to all authentic Islamic doctrines, lays great emphasis on the doctrine of the leadership (Imamate) of the Muslim leadership. I believe it is not inappropriate to suggest that all of Shi’aism revolves around one major principle, that of the leadership of the Islamic community (umma). The keyword in Shi’aism is thus Imamate, which means leading and guiding those in need of guidance. If the community is to be led and guide, the leaders themselves should be the leading examples of the faith in what they try to lead the community to believe in, and models of the code of thought and practice they try to lead others to practice. The concept of leadership involves three elements: (i) those who lead (imam), (ii) those who are to be led (Shia mamum), and (iii) the actual leadership, guidance, and code of leadership. The community cannot be lead unless those who lead believe in what they practice and in what they preach others to practice. In short, Imams should themselves be the living examples and models for those they try to lead. If prophet-hood and messenger-ship involve two major responsibilities, namely, introducing and spreading the divine message, and setting the model and being the living example of the divine message, the Imamate involves only the latter responsibility. This is why every Messenger is also an Imam, but an Imam is not necessarily a Messenger. In fact, the office of the Imamate is the responsibility for providing the model for the office of messenger ship, and this is how he leads. We can therefore understand that Shia’ism (following the leader) based on the doctrine of the Imamate (leader ship) is more directly involved with the idea of setting the model, providing the example, and producing the paradigm. The entire history of Shia’ism, and the lives of the Shia’ism Imams should be appreciated in this context and within the concept of the Imamate, which is the leading of humanity to salvation by guiding them to the full implementation of Allah’s code for the salvation of humanity, by being the supreme example in word and deed of that divine code. That is to say that they live a life of continuous struggle in the cause of Allah and of truth, and that is why they are all regarded as martyrs, whether they die on the battlefield or in bed. 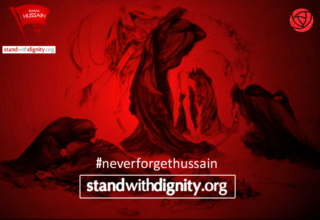 The event of Karbala, the martyrdom of the Imam Husain on Ashura, and the whole struggle he undertook, plays a very crucial role in the history of Shia’ism. Yet this unique historical event is seen by the Shia as a model event to inspire the Muslims. 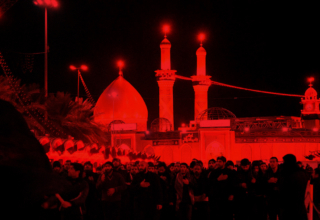 This is explained in the well-known narration frequency quoted ‘Every day is Ashura, and every place is Karbala’. 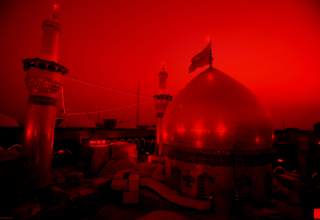 This is partly why it has kept its dynamic, resilient, and revolutionary sprit, and features throughout history, and this is how Shia’ism truly reflects this sprit. For this see N. Salihi, Shahid-I Javid. E.g., 2: 218; 8: 76; 9: 115, 143; 13: 43. 6: 48; 14: 10–12; 16: 43–4.